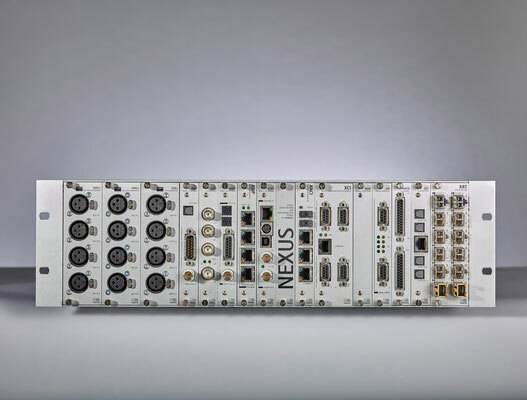 The NEXUS is a fully digital routing system for audio signals, which is designed as a distributed system. 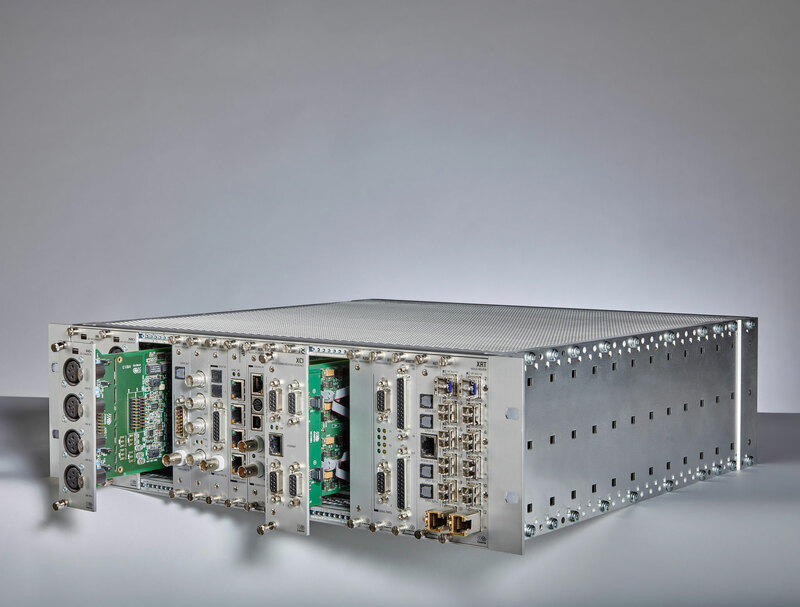 A NEXUS network consists of separate Base Devices placed wherever you need to route audio, control, and other signals to and from the network. 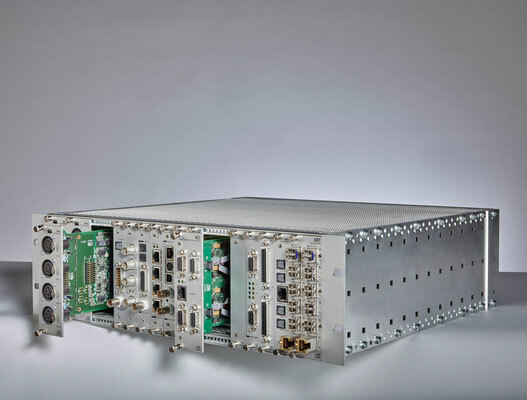 All Base Devices are interconnected through digital links implemented as floating fibre-optic cables. Each Base Device acts as an autonomous local router. This way, a NEXUS network offers distributed intelligence including decentralised control and crosspoint information. 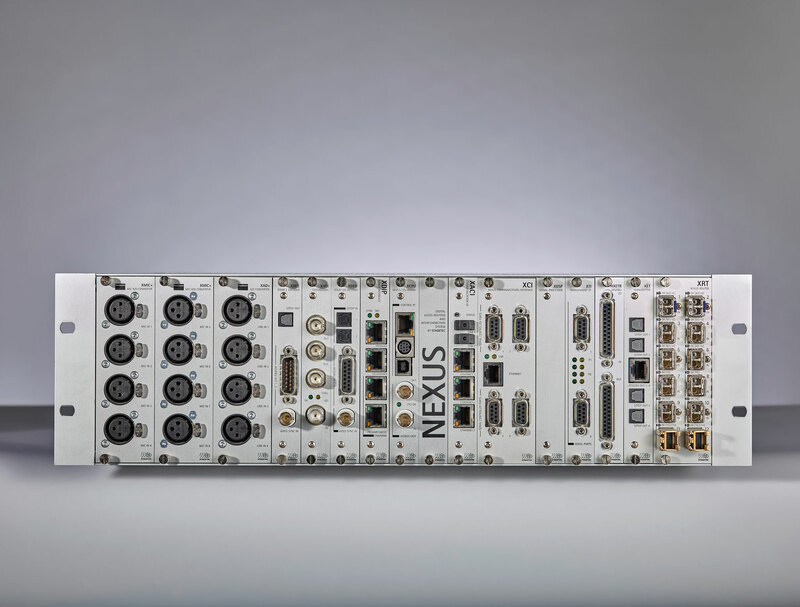 As a proprietary system interfacing to all established formats and standards, the NEXUS offers unparalleled performance. 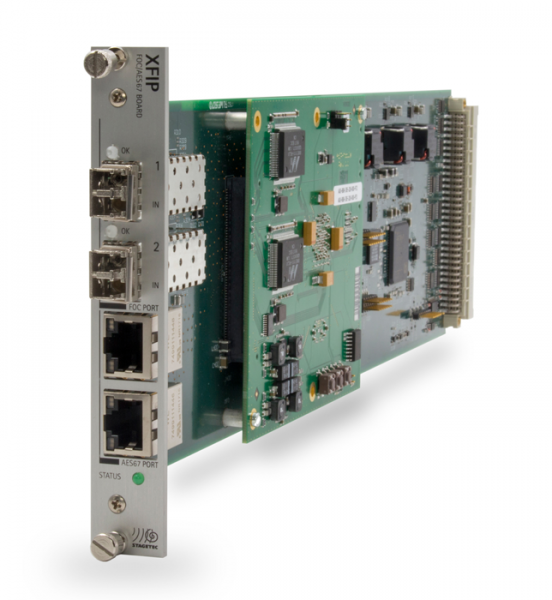 It supports analogue formats such as like MIC or line I/O as well as digital formats including AES, MADI, and AoIP through RAVENNA and Dante. In addition, the NEXUS routes non-audio formats such as GPI/O, MIDI, TC, and serial data on the entire network.